Ziggurat. What a goofy sounding word, right? What is a ziggurat and how does it relate to architecture? 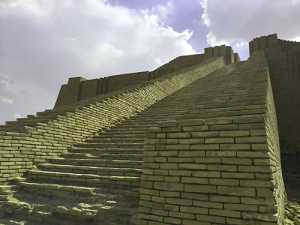 A ziggurat is a a stepped pyramid. Usually a four-sided structure. There were ziggurats in ancient Mesopotamia and also in ancient pre-Columbian Meso-America, Asia and Europe. Ziggurats are built out of stone and although they are found all over the world, there is no indication that this style traveled from place to place. It seems that they were designed independently of each other. 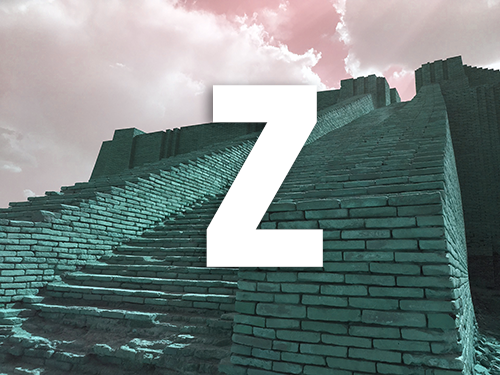 According to the Merriam-Webster dictionary, a French professor came up with the word “ziggurat” as he was studying the ancient Akkadian word for the ancient Mesopotamian temples: ziqqurratu. Here is a coloring page of a ziggurat. If you want other architecture images to color, here are more! What is a Chicago Window?